Up until recently consumers didn’t know precisely the amount of artificial dyes used in specific foods. No More. 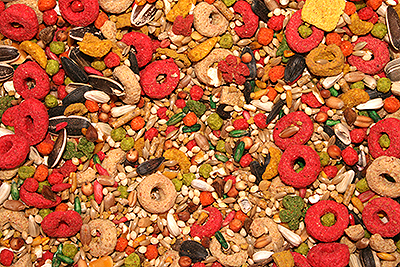 Thanks to a study conducted by Purdue University, published in the journal Clinical Pediatrics, everyone can now see the exact dye amounts in packaged foods consumed by children including breakfast cereals, candies, baked goods and beverages. The high numbers are disturbing. Behavioral tests have already shown that kids daily consuming as little as 30 mg of artificial dye in their food can suffer adverse reactions. That’s way below the amounts that were actually measured in many kid-centric foods. As an example, a child eating 2 cups of Kraft Macaroni and Cheese, a small bag of Skittles, and 8 ounces of Crush Orange consumes a whopping 102 milligrams of artificial dye. Topping the single serving cereal list, Cap’n Crunch’s Oops! All Berries, contains 41 mg of dye. Taking the prize for the highest level of artificial dyes per serving in ANY food, Target Mini Green Cupcakes contain 55.3 mg of dyes Yellow 5, Blue 1, Yellow 6, and Red 40. In the candy department Skittles and M&M’s topped the list with the highest levels of dyes including Blue 1, Blue 2, Yellow 5, Yellow 6, and Red 40. According to Purdue’s research, one of the largest sources of artificial dyes is beverages geared toward children. Starting at the top, Kool-Aid Burst Cherry contains 52.3 mg per 8-ounce serving, Sunny D Orange Strawberry contains 41.5 mg, Crush Orange has 33.6 mg and Powerade Orange Sports Drink has 22.1 mg.
With the amount of artificial food dye certified for use by the FDA having increased five-fold between 1950 and 2012, the researchers estimate that some children could easily be consuming 100 mg of dyes and some even more than 200 mg per day. Earlier studies in the 1970s and 1980s showed that few children consuming 20 mg of food dyes reacted to the dyes, so doctors concluded a dye-free diet was pointless. Later studies, however, using larger dye doses, showed that a much larger percentage of children did in fact react adversely. In 2011 the FDA officially announced that food dyes (along with other ingredients) cause behavioral problems in some children. And what have they done about it since? Nothing. Europe on the other hand, ahead of us as usual in the healthy food department, already requires warning labels on most dyed foods, which has almost completely eliminated the use of food dyes there. A note to American food companies: if Europe can do it, why can’t we?